Egyptian Cotton Sheets .com has 100% Egyptian Cotton sheets, towels, bed skirts, duvet covers and more! We try to keep in stock the best you can buy in 100% Egyptian Cotton sheets, bedding sets, pillowcases, duvet covers, and more. Our Egyptian cotton sheets are made exactly like the Egyptian cotton you love from us, and feels just like it! 100 percent Cotton! Thread count is true ...like Egyptian thread count! 1500tc is a true 1500tc! One ply! The products is so wonderful that we run out of stock very fast! But we will have more inventory very soon. Do not hesitate to try out our other non-premium products. They are superior and come in high thread counts, affordable to everyone. For the perfect finishing touch, add a 100% Egyptian Cotton bed skirt to your bed. You will see that it just completes the look of your bed. It hides the box spring and anything you store under your bed. 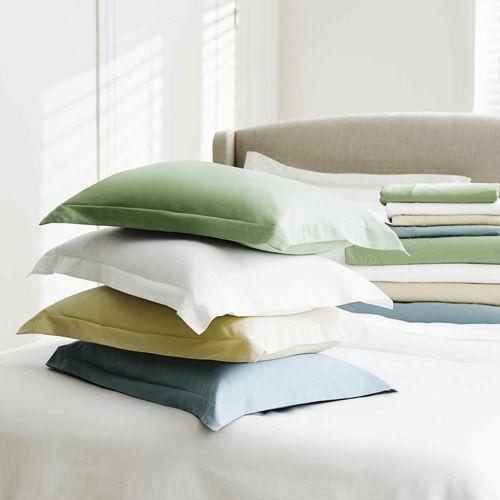 It comes in different colors, and thread counts to match your linens. Our 100% Egyptian Cotton duvet covers offer a cool-to-touch sensation in the summer and an indulgent warmth in the winter. The sleek solid design of the duvet covers offer elegant style and fashion to keep your bed looking as elegant as royalty. Whoever said being fashionable and in-style has to come at the expense of comfort never bothered to try our products. 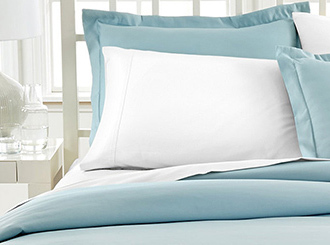 Egyptian Cotton Pillow Cases that match our sheet sets. If you ever get cold coming out of a bath or shower grab one of our comfy robes. They will instantly get you warm and dry you up at the same time. Even during a very cold winter give your family a robe and then snuggle up to watch TV or just hang out feeling warm and cozy. Your family will thank you. Beautiful Egyptian Cotton Towels that add to any bathroom decor. Towels are available in various matching sets and available in over a dozen solid colors that will not fade in the wash.
Egyptian Cotton Bath Mats and Rugs. Step onto out bath rugs and let the rug soak up the excess water from your toes! It feels soft and thick and does the job that's needed. Don't take my word, order one soon and match your towels with the bath rugs!